The last few months have been very difficult for our community with the fire and mudslides. Together, we mourn for the lives and property that was lost, and our hearts go out to the affected families. Unfortunately, because of the road closures, many people’s jobs and businesses are in jeopardy. We’re not out of the woods yet. 1) We are offering FREE fitness classes for ANYONE who has been displaced. 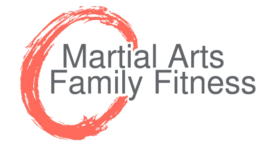 For more details, email amanda(at)kickboxers.com. 3) If YOU have been affected by this tragedy (directly or indirectly) and have any concerns about your membership, please email us immediately: service(at)kickboxers.com. We hope that MAFF continues to be a place where students can connect and network with each other. Please come train and celebrate the indomitable spirit of the Santa Barbara community.